The Six Nations is back! And Round 3 was well worth the break. It started with our first Friday night game of the tournament between France and Italy before ramping up into a crucial game between Ireland and Wales before culminating in the historic Scotland versus England game. Re-live or catch-up on Round 2 below. Plus: Get your exclusive Calcutta Cup Winners Shirt at rugbystore while stocks last. Traditionally this fixture feels like one of Italy’s best chances to get some points on the table, the visitors managed to run a close game for the first half. It wasn’t to last, however, as France began to run away with what would be Italy’s 15th consecutive loss in the Six Nations. It was death by penalties for Italy, who were unable to maintain composure with Bastareaud wreaking havoc in their lines. Mathieu Bastareaud: One of the most recognisable players in the French line-up has been missing for some time. It was fantastic to see him back in such great form. A tense affair in Dublin started things off on a great Saturday of rugby. While it looked dicey for the home side at times, Ireland eeked out a victory and bonus point in the end. The usually reliable Sexton played a big role in the game, for better and worse. One reason the game remained so close was the number of points Sexton left on the pitch with an unusual amount of missed kicks. But the Irish fly-half was fantastic in the field playing a crucial part in a number of tries and tackles. Wales led after the first half, but errors spoiled what would have been a vital away victory. 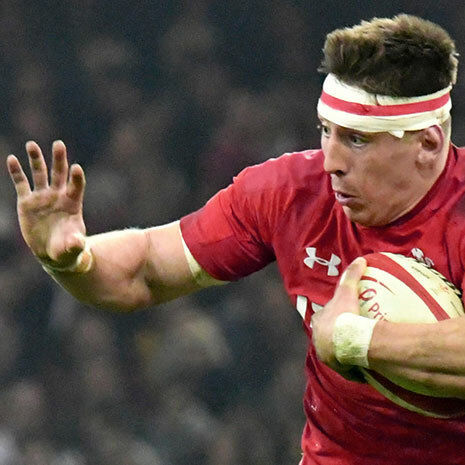 Despite having little of the possession, Wales remained within a drop goal score to the last play of the game, before a fantastic interception and try from Stockdale resigned them to a loss. 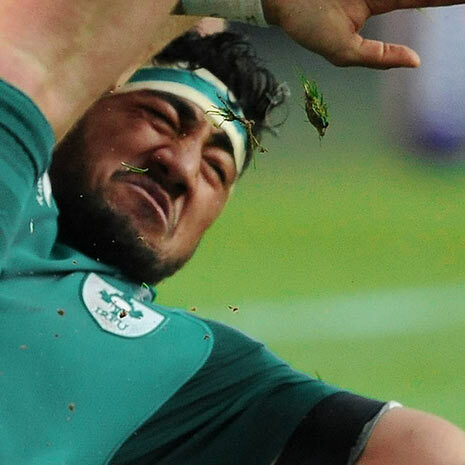 Ireland sit at the top of the table, their eyes set now on an increasingly possible Grand Slam. Chris Farrell: The official Man of the Match seemed to be everywhere in this game and constantly causing trouble for the Welsh. He’s quickly making himself indispensable. Leigh Halfpenny: After scaring Welsh fans by taking an injury break after one of his best games in years, it was good to see Halfpenny is still in fine form for the rest of the tournament. The most significant game of the weekend ended with the result that Scotland fans knew was possible but had been burnt too many times to say with confidence. A brilliant first half for the Scots resulted in their first victory over England in ten years, potentially has spoiled England’s 3rd consecutive Championship title and keeps them within touching distance of winning the whole tournament. Needless to say, the crowd at Murrayfield was pleased. In their last eight Six Nations games, Scotland have beaten each team in the Championship, a fact that would have been hard to believe of the constantly underperforming side of only a few years ago. The true test of how far they’ve come since last year will be in Dublin in Round 4. And while Scotland deserve much praise, it seemed like the England side fell asleep on the job in the first half. Unable to keep up with the pace of the Scots or dominate defensively like they have done under Eddie Jones, the point deficit was too great when they decided to really turn up in the second half. England will be waiting with great anticipation for this fixture next year. Huw Jones: Two fantastic tries, one of which showed true grit as he dragged two English defenders 8 steps over the line. Jones became a Scottish hero on Saturday. 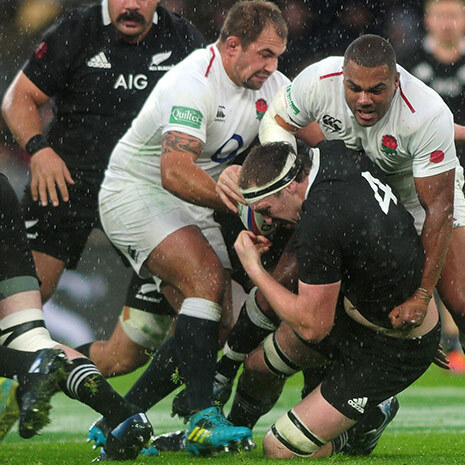 Chris Robshaw: Put in a performance that reminded you why he was Captain for so long. England’s near comeback must have been partly inspired by the tireless Robshaw. Will Round 4 hold as many surprises? What game are you excited for? Let us know in the comments or over on Twitter or Facebook.